Kidcity is a children’s museum with three floors of imagination play, where kids ages 1 to 7 play pretend with their favorite grown-ups. Our exhibits are handmade and one-of-a-kind, built by local artists who love inspiring playfulness in visitors of all ages. A museum is usually a place for looking, but a children’s museum is a place for doing! 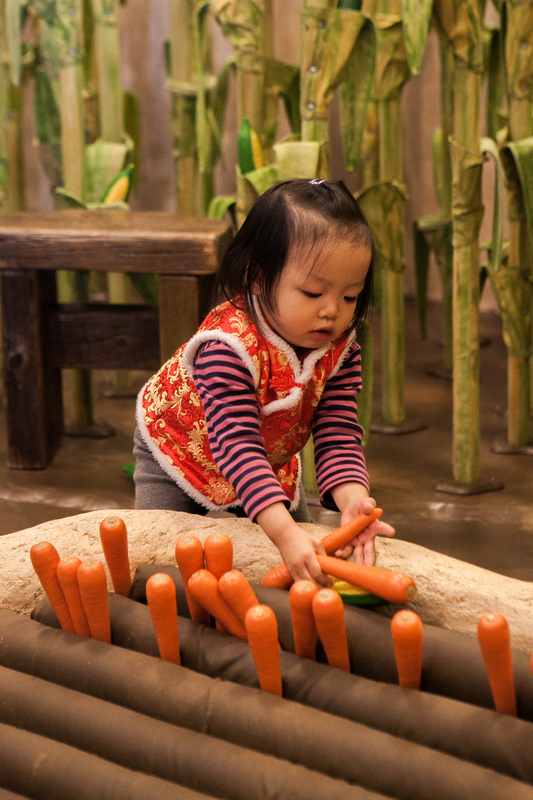 Each of our hands-on exhibits will jumpstart your child’s imagination…and yours too. We believe imagination is a muscle — you’ve got to use it or you lose it! Our exhibits include a Fishery, where kids use conveyors and pulley baskets to bring in the catch; a Space Age Roadtrip, where friendly aliens take a trip on Route 66; and a pint-sized medieval village called Middleshire, where kids build a castle and keep watch for Vikings. 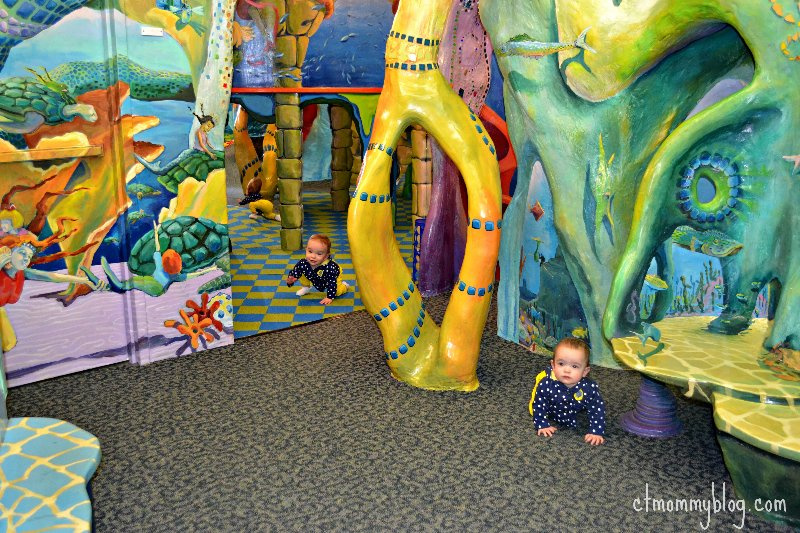 Our littlest visitors can play in the Toddler Sea Caves, where beginning walkers wave scarves and dance with mermaids (age 2 and under). There’s also a Main Street, a Farm, a Video Theater, and classics like trains, baby dolls and more. Kidcity also has the only known Celebrated Bathing Fluid Dispensary, invented by the renowned Dr. Nostrum, which is as entertaining as it is hygienic. All of our exhibits are built by our in-house team of Jen Alexander, Scott Kessel & Matt Niland, with lots of help from other local artists. We’re always building something new in our garage workshop, so you never know what you might find at Kidcity! Kidcity is a homegrown non-profit organization that started in 1994 with Jen Alexander’s plan to open a children’s museum in Middletown. Over the next four years, under the guidance of a local board of directors and with help from hundreds of volunteers and contributors, the museum took shape. The historic Camp-Sterns House (c. 1835), was donated by St. Sebastian’s Church, after the building retired from a 70-year career as their convent. The City of Middletown donated a portion of a public parking lot as a new site for the house. On March 15-17, 1997, the old house moved 400 feet down Washington Street, spending two days stuck in the middle of the road when it got a flat tire (true story!) After renovations to the house, our first hands-on exhibits were built by local artist Ted Esselstyn and friends, and Kidcity opened its doors to the public on September 26, 1998.
n 2003, Kidcity doubled the size of the museum with an addition that was designed to look like a second old house. The new building added an elevator and new exhibits, including a space just for our littlest visitors. For more information, contact Jennifer Alexander, Executive & Creative Director, atdirector@kidcitymuseum.com or Cait Alexander, Museum Manager, at frontdesk@kidcitymuseum.com.